The Hemping Hand: Week 2 On the Steem Blockchain. First off, I just want to say thank you. Thank you to all the support we received in just the first post. All Liquid Rewards will go directly towards RSO for cancer patients and all SP will be used to sell upvotes (to purchase RSO for cancer patients). I have been digging deep into the use of RSO as some studys say it doesnt help. I feel there is a lot of confusion and disinfo out there so it will be a point of mine to continue to research (I will also include that in future posts). Some CLAIM RSO CURES cancer, I make no such claim. It is from my understanding that at the very least it helps the body to heal in preperation for doctor-prescribed treatments. I am not the expert, I just know of it helping people and I want to do more of that. I want to also thank @canna-curate for the support in this. It is so appreciated! 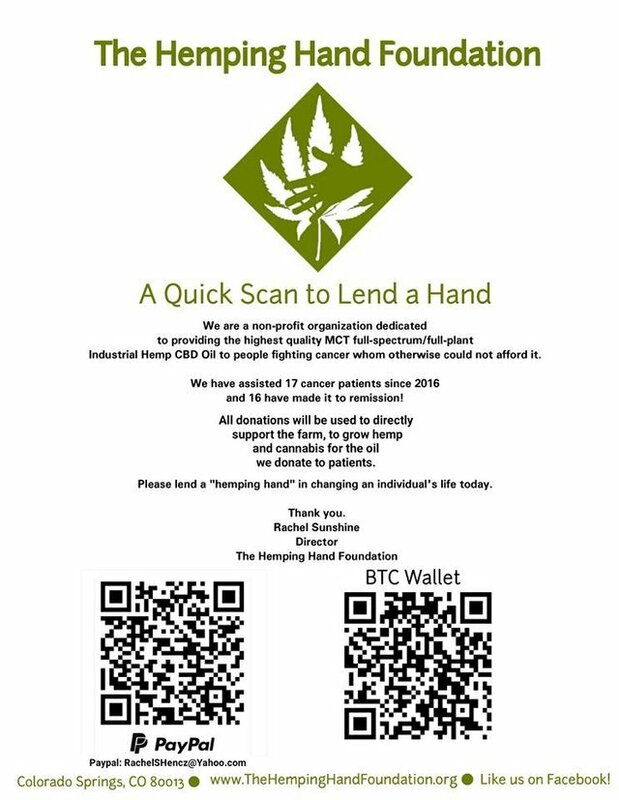 I (@EricWilson) personally am taking donations from friends IRL where it will all be used to purchase Steem/SBD and half will be powered up where the other half will be used for RSO. I do not want to only TAKE from the blockchain but I want to actively introduce it to people to show how it can be used in many different ways including commerce! That's good for everyone involved. This is so exciting! Let me know when you're ready for some art stuff!! Thank you! Hopefully as the SP grows we can really help out!!! Awesome!!!! I look forward to staying in touch moving forward, thank you for the support.